CULTURAL ARTERY - London — ANSO. 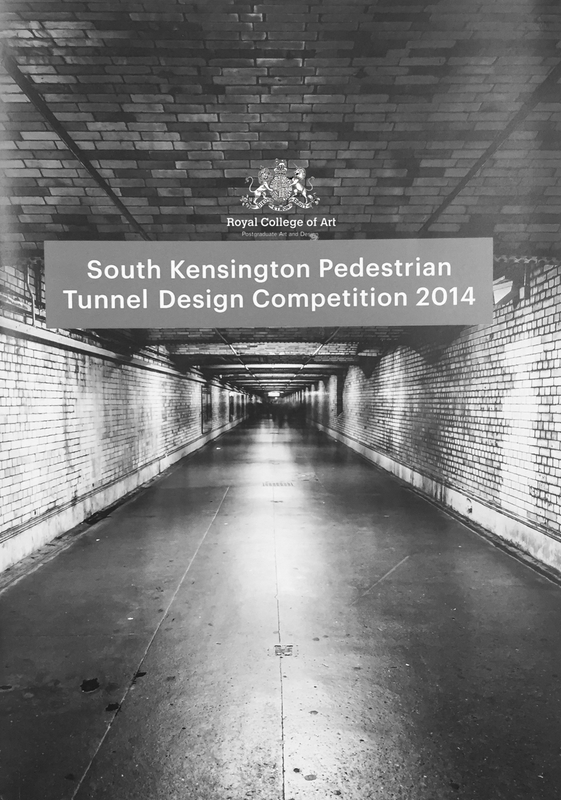 The Cultural Artery, is a streamline tunnel, reflecting an in depth investigation of constricted spaces, much like a blood vessel in the human body. Exhibition Road contains the most concentrated collection of art, science and technology in one given space, therefore the Cultural Artery seeks not to compete with the rich culture above but to capture and poetically reinterpret the emotional atmospheres of these iconic British establishments. Applying the practice of an x-ray machine, which provides a rare look inside a complex system, this design provides subtle rhythm of light to guide users to their destinations. The images and shadows the lights create mimic already existing elements situated above. 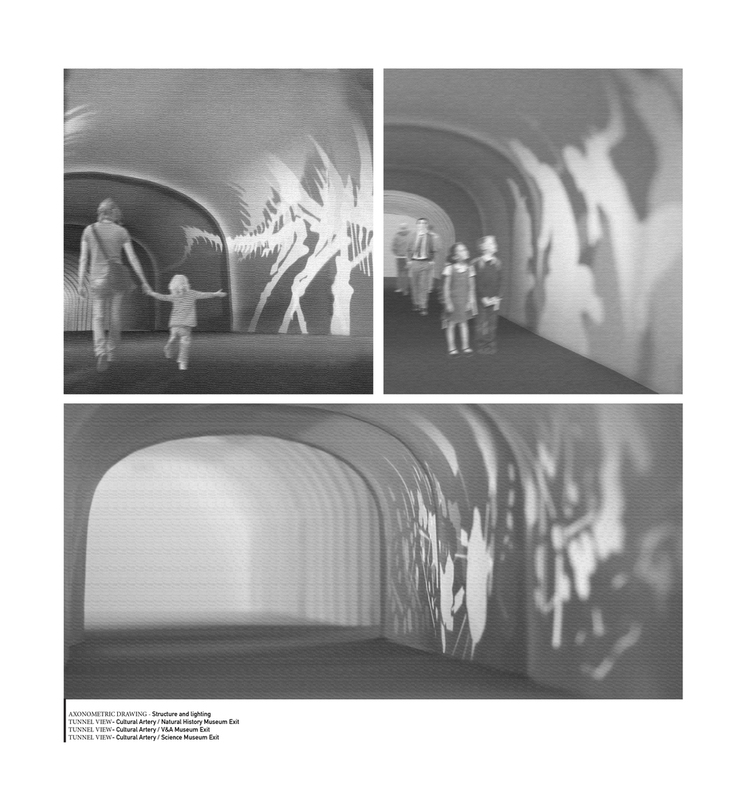 By then imposing them onto on a semi translucent skin, the tunnel looks to the future while also celebrating the past. As the user’s journey begins, projections progress in a gradient pattern from simple to more complex. This instinctively guides users to intended destinations in a subtle yet effective manner. The projected images also provide a tease to exhibitions above piquing curiosity and stimulating the imagination. The “white canvas” that evolves from the fading images will inspire future generations and simultaneously offer a space for performance and art.